In this blog we want to highlight three global eCommerce companies who have leveraged ClusterControl to manage and monitor the databases behind their powerful and innovative applications. 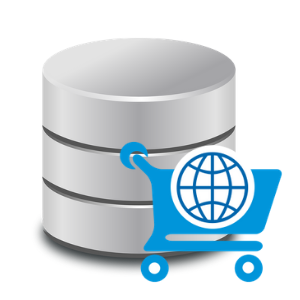 Each eCommerce platform & application has unique needs when it comes to database management. For some applications the need to protect their users data is paramount, for others speed and performance is the key requirement. Because of this uniqueness it is important to choose the right technology from the start as well as develop strategies to ensure that the databases consistently perform at optimal levels. Below we will highlight three ClusterControl eCommerce users and what challenges they faced in building a highly-available, eCommerce database infrastructure. If you want to learn more, you can read their individual case studies which goes into greater detail. The migration from physical game boxes and discs has been rapidly moving online with platforms like Steam, uPlay, Xbox & PlayStation Network growing in popularity. This trend, being fueled by the rapid increase in internet bandwidth, lets users buy and immediately download the games. 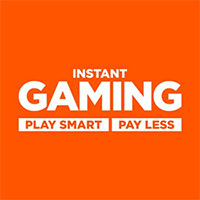 Instant-Gaming.com has positioned themselves as a leader in this space selling games that can be installed on a variety of platforms. Built using a custom-made eCommerce framework, Instant Gaming’s front-end applications used a MySQL database deployed in Master - Slave mode, with manual failover. The same database was used for back office applications like order management, billing, inventory and customer data. The applications ran in a Docker environment, while the database itself ran on barebone hardware. The team began using ClusterControl and its pre-configured MySQL HA deployment features and the automatic failover function. This resulted in improved reliability and stability for their platform. You can read more about Instant Gaming here. In the Czech Republic, there aren’t many companies who understand the challenges of eCommerce like OxyShop. They design custom eCommerce solutions for a variety of regional customers using a high-quality, custom-built web platform. 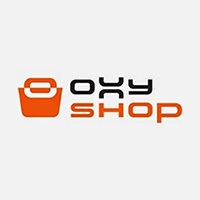 OxyShop also offers their clients managed options as well. In these scenarios they are not only responsible for designing and developing the application but also for providing SLAs of performance of the site. When a particularly demanding customer approached them about building a new site, one that was predicted to have a large amount of traffic, they knew they needed a better way of handling the database traffic in order to guarantee uptime. The OxyShop team decided that it was neither cost effective nor would it fit their aggressive project schedule to build a custom solution. ClusterControl, however, allowed them to manage a highly available PostgreSQL setup. It would detect any primary node failures, promote a secondary node with the most recent data and failover to it. You can read more about OxyShop here. Online gambling and offshore betting are booming businesses. 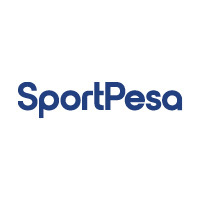 Based in Kenya, SportPesa is Africa’s largest betting platform. The company, while searching for solutions to configuration and performance challenges, decided to give ClusterControl a shot. Impressed by the knowledge of MySQL Cluster, the SportPesa team then decided to download and give ClusterControl a try. You can read more about SportPesa here. If you have an eCommerce application that needs highly-available, high-performance databases that can automatically recover when disaster strikes, then why not give ClusterControl a try?